You need to enter your E-mail address, select the I am a new user option and click the Sign in using our secure server button. Then you have to pass through several registration steps: account creation, payment method choice, identity verification and confirmation. 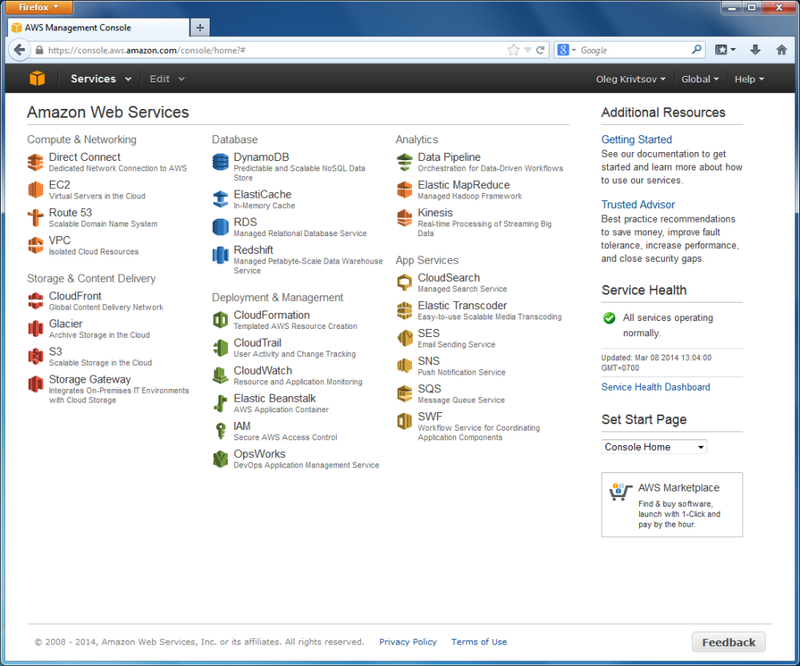 The AWS Management Console displays the products currently accessible by you. You are interested in EC2 product (Elastic Compute Cloud, shortly EC2), because EC2 allows to run a virtual Linux server. 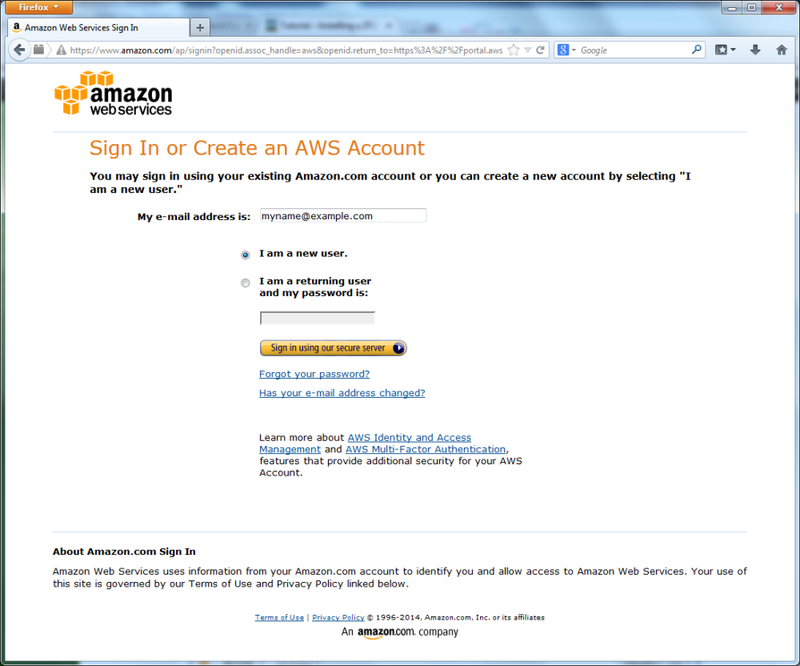 In terms of AWS, such a virtual server is also called an EC2 Instance.